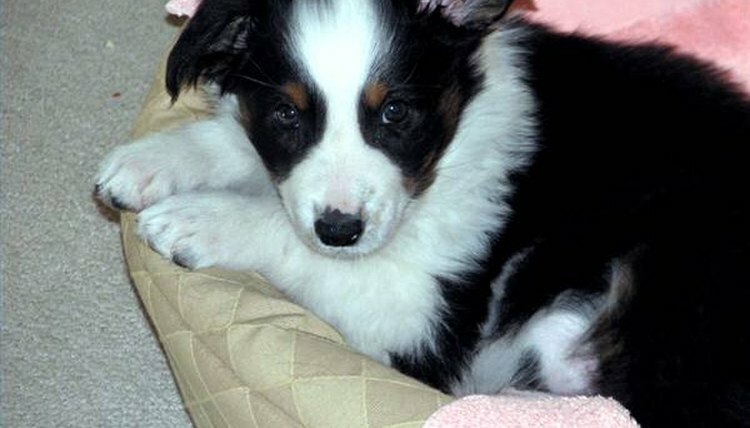 House breaking a puppy is one of the first thing a pet owner wants to do when bringing a new puppy home. The longer the puppy remains unbroken, the more chances there are that carpeting will be permanently stained. There is also stress involved when a pet has frequent accidents inside. Potty training a puppy fast is the solution. Until a puppy is able to physically control its bladder, a pet will continue to have accidents even if it understands the principle. Puppies left alone will take longer to train than puppies who are continually with an owner who is active in the housebreaking process. Puppies typically do not soil in their beds. Keeping a puppy in a dog crate at night, and then immediately carrying him outside in the morning to potty, will help it understand the process. Yelling and hitting the puppy will not speed the process, and may stress out the puppy and adversely affect its adult behavior. Start the puppy out immediately using puppy pads. Lay them near the door, and the minute the puppy starts to potty, carry it to the pad. Take the puppy outside to potty on a regular basis, about every hour. When you bring it back inside after relieving itself, give the puppy a small treat as a reward.